There are many boons associated with a Multiple Listing Service (MLS) sheet. For starters, it helps in enforcing a common system at the local level to facilitate easier real estate transactions. It also creates a uniform record-keeping platform that enables real estate agents to consistently advertise and track property transactions. Thus, despite being error-prone at times, an MLS sheet provides a wonderful starting point for your property search. However, the end customers (i.e. potential buyers like you) can get lost in this sheet, which might appear like an insurmountable maze, replete with jargon-laded data. We, at the Remax Realty, offer you some of the greatest real estate properties for sale in areas like Alamo Heights, Boerne, Cibolo, New Braunfels, San Antonio, and Schertz. So we’d like to list the 3 main factors that you should be on the lookout for when you compare properties based on MLS sheets. The price of a recently listed property, with sustained interest, would tend to be quite sticky more often than not. 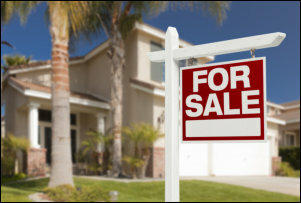 However, the price a property that has been listed for a while can be negotiated more easily. The listing price is merely reflective of how much the seller/agent is asking for the property, and not what its inherent worth really is. A well-priced property in a dynamic segment tends to have a faster turnover than another one that is grossly overpriced. Given that the sheet also provides a succinct record of recent price reductions, you can gauge what the real open interest for a property is like. You must note carefully the quality & age of the HVAC systems in your target property. Systems that aren’t up to the mark need to be replaced, and would consequently factor in the price negotiations. How the property gets its water supply and what are the kinds of waste management systems currently in place – these are questions that a discerning buyer should ask. So, if you are interested in purchasing our properties after going through the MLS, contact us today.